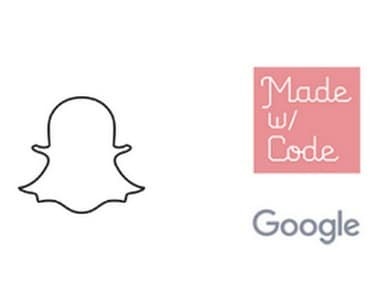 Snapchat and Google are organising a geofilter contest where teens would be coding to make geo-filters. The event is called the #MyFutureMe Challenge. The contest is only for teenagers living in the US who are between 13 to 18 years of age. #MyFutureMe Challenge. Made with Code, Google. In this coding contest, teens have to create geo-filters. The theme of the contest is the vision teens have for the future. They would also be making AR (augmented reality) Snap lens. The content runs from 26 September to 8 October and will be divided into many segments. Finalists would get a chance to meet Snapchat and Google’s leadership teams. Here they will receive mentoring from Google and Snapchat engineers. The winners will also be given an opportunity submit their Grand Prize Winner’s Lens Submission, which would go live on Snapchat. The idea behind the contest is to encourage teenagers into computer science. Made with Code initiative, a Google product essentially encourages teen girls to code. The motive is to give them a chance to move beyond the conventional norms of education. The finalists will get a chance to attend the TEDWomen conference talk in New Orleans. Here, lenses created by these finalists would be judged at the conference to go live on the Snapchat app. The list of judges for the geo-filter include Nobel Peace Prize Winner Malala Yousafzai, US Astronaut Dr. Yvonne Cage, SVP and CFO of Google Inc and Alphabet Inc, Ruth Porat, CCO of Hearst Magazines, Joanna Coles, Olympic gymnast, Laurie Hernandez, YouTube personality, Lilly Singh along with Snapchat CEO Evan Spiegal among others. Recently, Snapchat released World Lenses filter feature which is supported by Bitmoji, an app which creates animated caricatures. These can then be used as comic strips. However, Bitmoji had extended beyond comic strips. Bitmoji comes with a 3D animation mode as well.